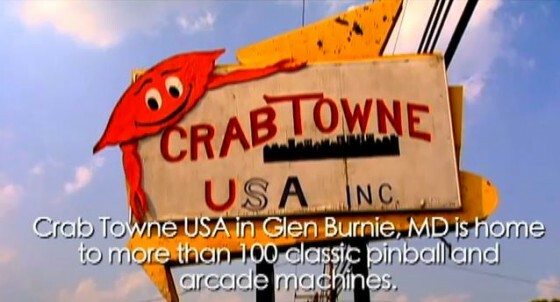 Tom Hintenach, Jr. keeps over 100 video games and pinball machines working at CrabTowne USA in Glen Burnie, Maryland. Although you really couldn’t tell that there’s a treasure trove of gaming in there by looking at it from the outside. 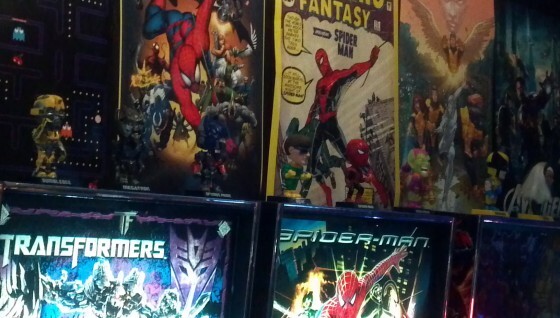 Come for the crabs, stay for the pinball; then eat more crabs and play more games. “As long as people like to play it, we’re going to keep it fixed.” — Tom Hintenach, Jr.
Tom Hintenach is THE REAL PINBALL WIZARD. He’s kept over 100 vintage arcade video games and pinball machines in working order for many years, at CrabTowne USA in Glen Burnie, MD. Produced from footage originally shot for the Emmy Award winning MPT original production Eatin’ Crabs, Chesapeake Style, this short takes you back when video arcade games and pinball machines ruled the world! And at CrabTowne USA they still do.